2009 Honda Civic Four door Parts forsale . 2009 Honda Civic four door parts forsale everything rust free . Feel free send text or email fastest way get response. Selling a stock hood from a 1988 Mustang GT, hood is rust free would just need paint. [Phone Calls Only Please] Now available (private sale); beautiful well maintained 2002 Chrysler Sebring Convertible. This car is rust free and recently imported from Florida in the US. 81,000 miles, electronic soft top, power windows, AM/FM radio. Soft top is in excellent condition. Car overall runs well, new tires. Vehicle also has alloy wheels. Actual pictures provided. For further information or to arrange a time to view in person, feel free to contact. 2012 Hyundai Santa Fe Private Sale by Original Owner. Excellent Condition. Low Mileages of 43024 km, Power Steering Wheel Controls, Heated Seats, Alloy Wheels, V6 Engine, Power Windows/Mirrors/Locks. Regular Dealer Maintenance, Accidents Free, Comes with Winter and Summer Tires on rims, Rust proofed every year. Warranty's and Registration until March 2019. Only Serious Buyers and the Price is Firm. For Sale 1997 Cadillac Deville. X Florida car. Runs good 80,000 miles/ 130,000 kms, also have factory chromes wheels and a rust free parts car going with it. $1,500 or best offer. Contact owner Wayne at home 466-2580 or cell 728-9458. 2011 Kia Soul 4U 97Km, 5 Speed, 4 Door, Loaded ! INSPECTED ! 2010 Kia Soul 4U 61Km, 5 Speed, 4 Door, Loaded ! INSPECTED ! 2010 Kia Forte Le 117Km Auto, 4 Door, Loaded ! INSPECTED ! 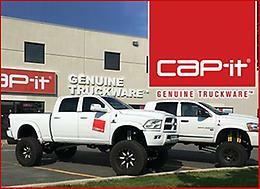 2007 Dodge Ram 2500 Mega Cab Laramie 160Km, Auto,Loaded ! INSPECTED ! Excellent condition rust free original survivor car (except engine is a completely rebuilt 355ci) 90,000 miles on car has 4spd manual new stainless exhaust, new suspension & front end, bushings, etc. Many new parts & extras incl spare set of T-tops & white lettered tires. May consider partial trade or trade for pre 1975 car or truck in comparable condition & licensed. If interested call 834-0589 or email (no texts). Please send pics if you have something of interest.